One of the gifts we gave you today is that we took the offering BEFORE we started talking about generous giving. My goal is to stay as far away from guilt today as I can. Instead, I want to do my best to hold out the beauty in generosity and in giving. I want to encourage us to strive to be people who are generous givers…givers of attention, givers of love, givers of time…and yes, generous givers of money. The heart of what I want to say rests on the truth that our primary goal as followers of Jesus is to be imitators of God. We want God’s goodness to be reflected in us! As Paul says in Romans 8, we want to be “conformed to the the image of God’s Son,” Jesus. This is the basis for trying to be generous givers–being a generous giver is to imitate God. One of the clearest characteristics of God we experience and that we see in the bible is that God is a giver. Push your mind back, back, back through time, back before time. There is God, complete in God’s self, needing nothing: the three persons of the Godhead in perfect, loving unity and relationship. But God wants more. Not as in “more stuff” to have and possess. Not as in God lacked something and was striving for more. No, what God wants more of is the ability to share and relate and love. All of creation exists because of God’s desire to share, to experience community, to know and be known. God created everything, including us, so God could give! And when God asked humanity to take care of all the stuff God had made, giving was woven into the instructions. No one owned land; everyone took care of it as stewards on God’s behalf. You worked hard to bring fruit from the land, and you shared the first tenth of it with God and your community. If you had to borrow for awhile because of some crisis, it was all supposed to be forgiven within 7 years. If people didn’t have enough food or anywhere to sleep, hospitality was the law of the land. You took care of those who needed it. We’re better at the self-absorbed receiving. I used to play Legos with my next door neighbor when I was a kid. The main reason I was his friend was that his parents bought him lots and lots of Legos, and he had tons of the special pieces: you know, the ones that weren’t just regular old building blocks, but the cool clear ones, or the triangle ones you needed to build a space ship, the wheels, etc. When we would get together and build, we would literally lay out all the special pieces and divide them equally, even though 80% of them were his. He was very generous to do that. I was not. Even with how much he was contributing compared to me, I still would hide several of my special pieces in my pocket before I came over so they would be just for me. I ended up with half of his special pieces and almost all of my own. Let me tell you how bad I can be. 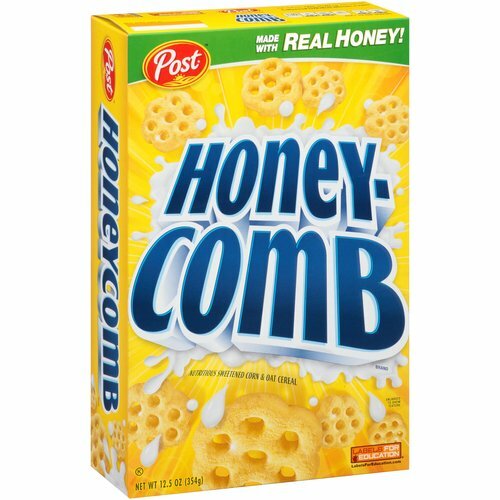 I have a bowl of Cheerios for breakfast almost every single morning, but I absolutely love Honeycomb. We buy them on vacation, but we do not buy them just to have around the house. A couple of times, knowing my love for Honeycomb, people have bought me a box as a gift. When that happens, I hide them in the pantry so my kids won’t eat them. Or I get up early so I get a bowl before they do. Or if they happen to catch me and we have to share and eat them at the same time, I will choose a smaller bowl for my kids than I choose for myself. On a global scale, the reality is that huge inequities of wealth, food and other resources exists. God has given enough natural resources for everyone to have enough…but because of our unjust systems and because of human selfishness, scarcity exists for some. Like the scarcity of Honeycombs for my kids. God has, is, and will give more than enough! And God longs for us to be givers ourselves, God-like givers who help to create a world more like God envisioned, where resources are shared well, where we experience the joy of receiving and of giving on an equal basis. I wanted to say all of that to set the stage for looking at the Old Testament together, at the book of Deuteronomy. I’ll be the first to admit that I don’t often get inspired by Deuteronomy. There’s a lot of strange stuff, laws and expectations that seem quite weird to us today. But there are also places that give us a clear picture of how God was trying to create a community of people who reflected God’s own character. When you look up what pastors and others have said about generous giving, two categories of giving are often mentioned. There are the gifts or tithes to the church community, and there are the gifts to the poor and those in need. Deuteronomy addresses both of those categories; but what’s interesting as I’ve gone back to look at these is how beautifully they are depicted in this book that I associate with a bunch of laws. Turn with me to Deuteronomy 14:22. This is known as the tithe, one tenth of what we make, given to the church. I remember my parents faithfully trying to help me do this with my allowance. I would get a dollar for an allowance, and it was always given to me in dimes. 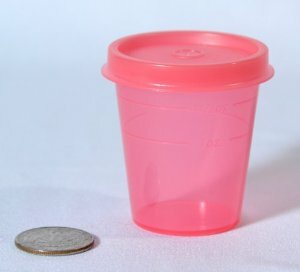 They gave me these little tupperware containers, kind of cone shaped with lids. One was marked “Tithe”, one was marked “Savings” and I can’t remember what the other was…maybe spending or something. I thought of that one as MINE. The first dime…the tithe…was always supposed to be placed in the tithe container. Three dimes were supposed to go in savings. And six went in the MINE tupperware. MINE was never enough. I was always raiding the savings one to get a pack of baseball cards or gum or whatever. I was too afraid to steal God’s money, but the concept of savings to 6 year old me just meant another container of money to get cool stuff for ME. As an adult, I see both the value and the limits of this approach. The value is trying to teach ourselves to have discipline and be intentional and plan for what we will do with the money we have, and to let our love of God shape how we allocate our dimes. One of the major limits, though, is that you feel either like the church is stealing MY money, or you feel like you are so very amazingly awesome because out of the goodness of your heart you are giving YOUR money away. It’s too easy to forget all of it is God’s money, money that we are taking care of. It’s too easy to forget we are given what we are given to help us participate with God in providing for the world’s needs…ours, of course, but also others’. I’m guessing that many over the thousands of years since Deuteronomy was written grudgingly feel like God is taking away a tenth of what we have. It’s a danger of pulling out a verse or two, and not looking at the whole thing. The law was given to tell how to live in this gracious gift of the promised land which God has given. And…listen to the crazy thing God asks them to do with the tithe! Have a party! The tithe is for the community. It’s to help the faith community “learn to revere the Lord your God always.” And when you skip farther down, you see they are also used to help those who need it. It’s a little bit harder to see today, but our tithes, our gifts here to the local church at Newberg Friends serve the same function. Your giving, which comes from your “fields” or your work, releases some of us “Levites”, who don’t have other fields or jobs, your gifts help us be able to live. Your giving also creates listening life groups and Women’s Bible Fellowship and youth events and VBS and so many other community experiences that help us celebrate each other and learn to worship God always. Your giving to Newberg Friends helps feed people through FISH here in Newberg, ministers to the elderly through Faith in Action, supports the Women’s Shelter and Relational Ministry through Love INC. Your giving to Newberg Friends combines with other churches in our Yearly Meeting to send people all over the world to share Christ’s love. We are doing this together, when we set aside 10% or whatever we give here to our church. Maybe the one lesson to take from Deuteronomy is that we need to throw ourselves a party a little bit more often…so remember that at our breakfast for the outdoor service and the fall barbecue! The biggest thing I think we can take from Deuteronomy 14 is that giving to the church, to the faith community, isn’t meant to be an obligation. It’s meant to be a celebration, as we worship God, as we imitate God in giving to care for others. I’m gonna skip over, because of time, some good stuff here about the practice of canceling debts…but when you have time, read this whole chapter. Down to verse 10. Also don’t miss this! Jesus quotes this section when he critiques those who are mad at the frivolous generosity of the woman who poured perfume all over Jesus. Grumblers said it could have been sold and the money given to the pour. Jesus tells them not to criticize her generosity, her God-like generosity, and reminds them that they will always have the poor with them. But Jesus doesn’t say that as an excuse to NOT give to the poor. Jesus knows Deuteronomy! “There will always be poor people in the land. Therefore I command you to be openhanded toward those of your people who are poor and needy in your land.” Jesus is celebrating that the woman who poured out the expensive oil as a gift was letting God’s generosity overwhelm her. I have to believe he wanted the grumblers to copy her generosity! Strive to be a generous giver like God. Be open-handed and generous, trusting that God’s giving is great enough to be shared around freely. Give regularly and intentionally to the church. Not as an obligation, but as an opportunity to celebrate all that we do together, all the ways we partner to do God’s work in the world. For some of you, 10% is a good starting point, and you can probably find ways to give more. For others of you, 10% seems completely impossible to achieve with all the bills you have. So I’d encourage you to start somewhere. Start with 5%. Start with 3%. Start with 1% of what you earn. Start as soon as you can. Start somewhere…again, not out of obligation, but out of celebration that you get to participate with our community in doing God’s work in the world! Early in our marriage, I think Elaine and I both hoped for a time where we would have enough money to be able to start giving. We wanted to be generous, and we looked forward to when we would have enough money that we could give. The big news flash is, you never really feel like you have “enough” money to give. So at some point we just decided we would give. We didn’t start at 10%, we started with less. That was back in the days before online bill paying made regular giving possible, and we had to write checks. Things were really tight, as we discovered the one month when BOTH of us wrote our tithe check without realizing the other had, and ended up bouncing checks later in the month. But we’re one example out of many who have discovered that the practice of intentional giving does lead to more giving being possible. It leads to being transformed to be more like God the giver. Look for those moments when you can generously give to someone else, where you can help someone in need. I have to say that one of the best parts of being a pastor is getting to be the vehicle, getting to be the person who delivers someone else’s generosity. I’ve had people from our church who want to give anonymously to someone else in the congregation who is in need. I know it happens WAY more often without me being involved. But I’ve gotten to deliver gift cards and cash and food and clothes. There is not much better than getting to watch how much joy is created by giving! Obviously there is the joy of the person receiving the gift. But I’ve also seen the joy of many of you givers, too. I’ve watched you be transformed by giving, and it’s inspired me to want to be more of a giver, too. Another practical way you can do this is through our church’s “Compassionate Care” fund. When you mark your check or gift “Compassionate Care,” we are able to use that in so many ways for people in need from our church. Your “Compassionate Care” gifts pay utility bills, rent and mortgage payments. Those gifts put gas in people’s cars and food on the table when they are in some of the most difficult times in their lives. Those gifts pay for counseling for marriages and for people in grief or depression. May God help us all be generous givers!